ESSEN, Germany -- Thyssenkrupp's European steel business, expected to be merged soon with its counterpart at Tata Steel, will get a boost from the auto industry's shift toward electric vehicles, a senior executive at the group said. Investors and analysts are closely watching any hints from Thyssenkrupp over the restructuring of its steel operations in Europe, with many expecting a merger could mark the first step towards a full exit of the business. However, Bernhard Osburg, head of automotive sales at Thyssenkrupp Steel Europe, highlighted the potential value of the steel business in future as major car industry customers shift away from combustion engines towards battery technologies. "Without steel, there will not be electric mobility," he told journalists at Thyssenkrupp's headquarters on Tuesday. "We expect e-mobility to be a positive business case for us," he added, singling out electrical steel strip and high-strength steel as two products that will see higher demand as more electric vehicles are made. 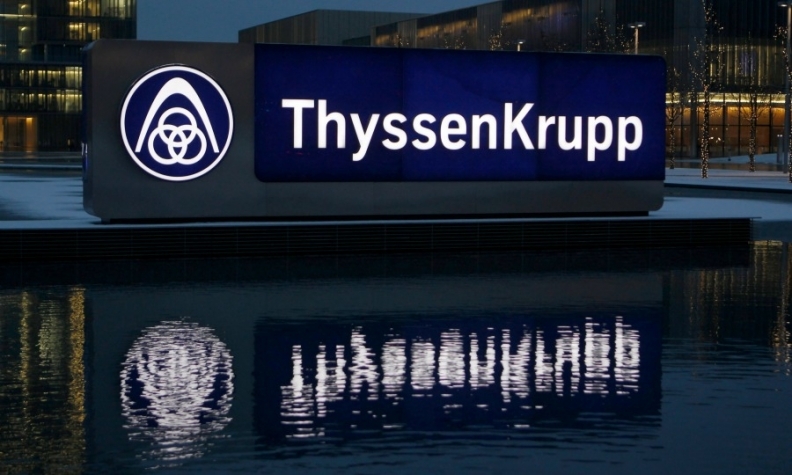 Thyssenkrupp has been in talks with Tata Steel for more than a year about a merger of both companies' European steel operations, arguing it was the best way to eliminate overcapacity in the volatile sector. Thyssenkrupp Steel Europe supplies about 6 million tons of steel to the car industry and its supply chain per year, accounting for about half its total annual production. The automotive industry is Thyssenkrupp's single biggest customer group, accounting for 9.8 billion euros ($11.7 billion), or a quarter, of group sales. Thyssenkrupp says its components are used in nine out of 10 premium cars, including all models of electric car maker Tesla. Osburg said electrical steel strip was instrumental in helping extending ranges for electric cars, a key source of concern among prospective buyers, adding the growing need to protect batteries inside cars also required stronger steel. "Here you need highest strength levels in a confined space," he said.